Originally uploaded by Telstar Logistics. 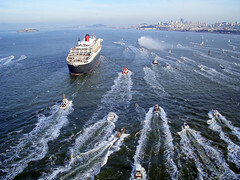 Telstar Logistics has some great pictures covering the first arrival of the Queen Mary 2 into San Francisco Bay. See their blog for all the details.